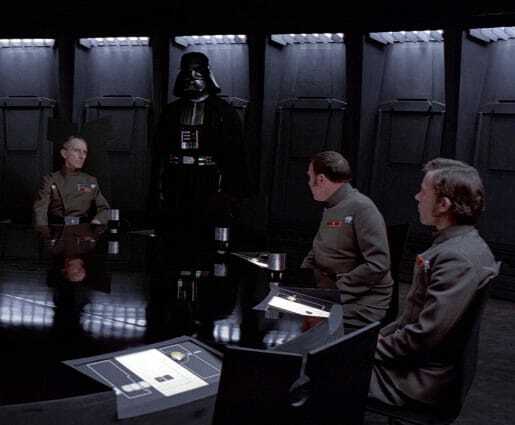 Lord Vader does not share your opinion concerning the scant Facebook ‘Like’ numbers on our Death Star page, care to explain that again? A business case usually relies on numbers. Numbers to justify the investment, numbers to project the return on investment, and numbers to compare against other investment opportunities. Numbers that matter, matter differently dependent on the view of the person you talk to. Certainly social media, or social software, numbers rely on us to know our boss and know their need and understand what their need for numbers is to evaluate success. Recently, I went to Google for a social media metrics search and came across a good article to share for two reasons. But, context really, my search spurred from discussion with someone who asked what metrics do I need to make a business case for social media success to my C-level? Making dumb, data-driven decisions is not a wise career move. I had not been asked to make a data-driven business case for social media for more than two years, so I just did a quick Google search to see if about the most recent case studies I could update my holster with. In this era of near-constant business disruption where non-routine issues are becoming the norm, your capacity to solve them swiftly, using the unique capabilities of social software makes its measured use important for profitability and growth. Most senior executives are either deeply skeptical of social software because they don’t understand its potential impact on business performance or they have adopted a “check the box” approach — they feel they have to deploy it because other companies are adopting it, but they are not sure what it does or why it matters. Hagel and Brown understand the world I live in and the expectations I have to deal with. And that is fair for me, because if I want to impact an executive, I need to think about the executive’s need, not mine. … tying social software deployment to metrics that matter for your firm and triggering cascades of adoption and sustained usage based on clear and measurable operating impact. Social software can have a significant impact on the performance of the firm but its deployment needs to be guided by a methodology that targets the greatest opportunities for performance impact. But here’s the problem. The metrics that matter differ at different levels of the organization. Given this, it is vital to focus on a performance funnel that specifically targets metrics that matter at each level of the organization. What is the executive level interested in? Why is it different, and should be different, to the operational level? What is the link between financial, operational, and, what the author’s call, front-line metrics? Stepping back from all of this, it becomes clear why CEOs are natural and necessary leaders for these software deployment initiatives. Effectively targeting metrics that matter requires a broad overview of the economics of the business and an ability to drill down quickly into whatever part of the operating processes that might be most helpful in driving key financial metrics. I say, “here, here, next round on me”! Some other good nuggets leap out when I read this full article, but I do not want to steal the thunder of a timely and relevant read that is important to anyone who cares about staying at the executive table. Without an understanding of their need for numbers to evaluate success we can get too easily drawn in to people’s personal bias or fear of change. I am not keen on dealing with a personal agenda that trumps a business need for change. I can build change management into organization development, but to convince someone in fear of change for their personal reasons, that is a far taller task, and one’s fear does not help the organization. Chief Executive.net. It’s a good read. Enjoy the article and share your thoughts.